Yarra Park is one of the main public parklands in Melbourne and is located within the city’s vibrant sports and entertainment precinct. It provides the setting for the MCG and nearby Punt Road Oval. Yarra Park has a significant indigenous pre-history, and is also noted for both its landscape and sporting heritage, dating back to the 1850s. Included in this heritage, are the sporting statues that surround the MCG. 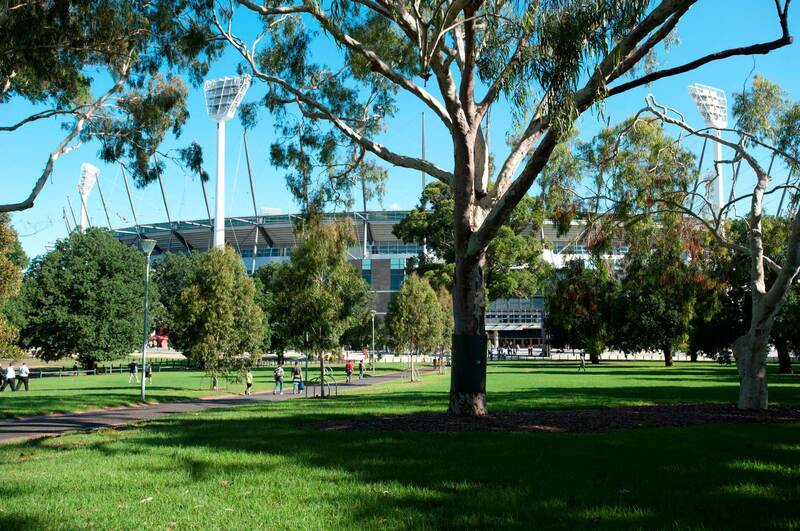 Like the stadium that adjoins it, Yarra Park is managed by Melbourne Cricket Club on behalf of the people of Victoria. MCC reports in to the Yarra Park Advisory Committee. A water recycling facility and landscape upgrade will secure the future of the trees in the park, which is all part of the Yarra Park Master Plan.